Wholesale Hemp & Headshop Jewelry, Fashions and Accessories. Hemp, Pyrex and Fimo Old School Deadhead Designs. Wholesaler for Hemp Fashions for Headshops, Festibal Vendors, Retail Locations & More. 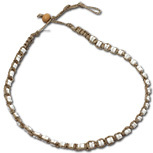 Best Priced Hemp Accessories Including Jewelry & Wearable Hemp Fashions.